How Many Days To Clear Local / At Par Cheque? For non ICICI bank local or at par check takes a maximum of 3 working days excluding public holidays and strikes including Saturdays. For ICICI Bank, you can never say anything. Let us take couple of examples to understand the maximum of 3 working days. We deposit the check before the first clearance, which is for most banks’ most of the branches are 11 AM. You can ask your bank branch about it. Many banks’ branches have multiple clearances in a day and only one clearance on Saturdays. In our example if we deposit the check on Monday at around 10 AM, then check would go out for clearance the same day in the 11AM clearance. The next day i.e. Tuesday morning it will hit the source bank from where the money needs to be debited and end of the day i.e. Tuesday, the fund should be cleared and available in your account. If you have access to Internet Banking, the check deposited on Monday morning and if it was sent for clearance then it will show as checks in clearing by Monday evening itself. In second scenario, if you are late on Monday and could not deposit the check by 11AM but you do it at say 11:30AM, then the check goes for clearance on the next day i.e. Tuesday and the above process would happen from Tuesday. The funds would be cleared and available in your account by Wednesday evening. So in the second scenario, it took a maximum of 3 working days i.e. Monday, Tuesday and Wednesday. The above scenario is normal but then ICICI Bank for me has taken more than 5 working days to clear a local check and deposit funds in my account and I have been calling the customer care from 4th day and each day they keep telling it will be done today. 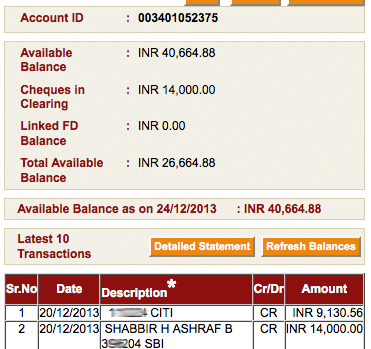 I deposited couple of check in my ICICI Bank accounts. First check was Citi Bank’s check from Google Adsense and other was to transfer some funds from my SBI account to my ICICI account and both the check were dropped using the same slip in the check drop box at ICICI Branch near my house on 18th of December. 19th of December was a bank strike and even if I was late on 18th (which I was not) for clearance 21st December evening was the last day when the fund should have been in my account but 24th December and yet the funds were not in my account. You can see the screen shot. The argument from ICICI bank can be that SBI bank took more time to clear the check but that was not the case. SBI cleared the check on 20th December 2013 Morning which even suggests that I deposited the check before the clearance on 18th of December and as 19th was bank holiday, it was presented for clearance on 20th December Morning and SBI cleared the check the same day. SBI Cleared Check on 20th Dec. Note: I have not blurred the complete check numbers in both the above screenshot to identify they are same check. There are so many questions in my mind but I am not sure who will answer them for me. What if this was check from someone else and I may need to be doing something once the check is cleared? The other party could argue that is it cleared from my bank and I would say it is not cleared and business can be a complete mess. What if I had issues a check based on assumption that this would clear in 3 business days and that check could just bounce? Where was the fund from 20th December to 24th December? Yesterday I got a mailer from ICICI Bank that said. 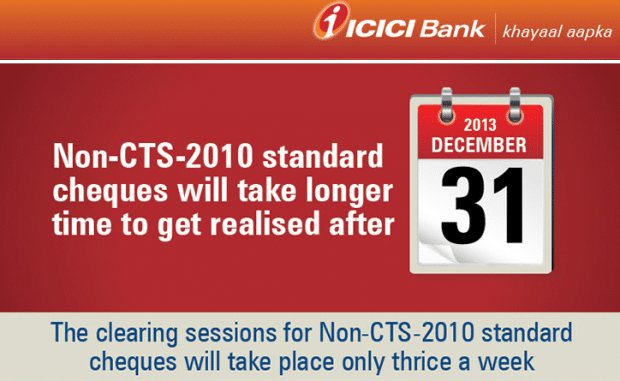 My Check was CTS2010 and of course was submitted before 31st December 2013 anyways and so could not be a reason for the delay. On top of that it was presented to SBI Bank on 20th December 2013 that was completely as expected but once cleared from SBI and then ICICI bank played the trick. Do you think anything can be done about it? I am not sure but do let me know in comments below if I can do anything apart from sharing this on ICICI Bank’s Facebook Page and twitter account. Will keep the post updated if I hear back from the bank. 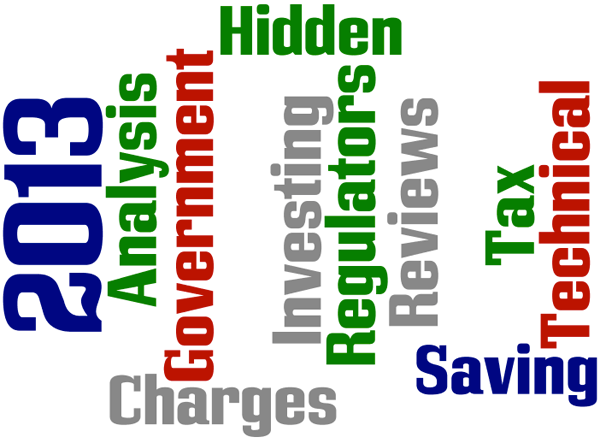 You are here: Home / Review / How Many Days To Clear Local / At Par Cheque?